Being one of the reputed organizations in the market, we are engaged in providing an exclusive range of Stainless Steel Scrap. 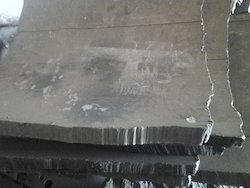 Duplex Steel Scrap comes under stainless steel category but with some special charachtristics it is a second-generation, nitrogen-alloyed duplex stainless steel (ferritic-austenitic). In Grades like: - 304, 304L, 309, 310, 316, 316L, 317L, 409, 410, 410S, 416, 420, 430 etc. 2205 (duplex) 2207 (Super Duplex). In Grades like: - 304, 304L, 309, 310, 316, 316L, 317L, 409, 410, 410S, 416, 420, 430 etc. 2205 (duplex) & 2207 (Super Duplex). Duplex and Super Duplex Grades. SS 304, 316, 310 And High Ni Grinding Dust Waste. 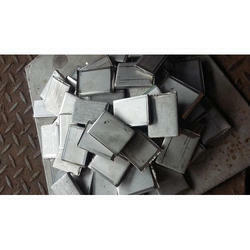 Specification :Standards : ASME / ANSI - B 16.9, ASTM A403 - ASME SA403, ASME B16.9, ASME B16.25, ASME B16.28, MSS SP-43. Price Range: Rs. 185-195 per kg. In Grades like: - 304, 304L, 309, 310, 316, 316L, 317L, 409, 410, 410S, 416, 420, 430 etc.2304(duplex), 2205 (duplex) & 2507 (Super Duplex). In Grades like: -304, 304L, 309, 310, 316, 316L, 317L, 409, 410, 410S, 416, 420, 430 etc. 2205 (duplex) & 2207 (Super Duplex).